Hello, new guy here. Just a get to know me post. Saying hello and introducing myself. TL;DR I started a while back but am pretty new experience-wise... Ive found exploration to be awesome... Look forward to having some fun with yall. I started EvE almost a year ago but I only really have about three months of actual play time. 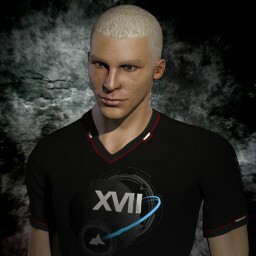 I joined EvE_Univeristy pretty early on and most of my experience comes from them.The concept of the game fascinates me but I had a hard time finding something I really enjoyed. I spent most of my time exploring different careers and passively training skills as per the EvE-University recommended basic skills list. E-U taught me some great things and I'm thankful for the experience. I have dabbled in hauling, mining, running security missions and a little bit of manufacturing although that was mostly hours of research before deciding it was a little too complicated for me at the time. I found exploration to be what I truly love doing. Having a super quick ship that's really hard to find is so awesome. I love roaming around in low/null-sec trying to find some high value loot and it is oh so satisfying to open a sweet can. I especially love slipping by some turd that has set up a bubble to trap me. My heart gets pounding so hard when other people are in the system and I'm cloak-warping around trying not to get spotted. I hope to talk with people about the awesome can I just looted or about how I barely got away from some crazy gate campers. I'm looking for some other explorers that understand the excitement of what I enjoy doing and can help me get better at it. I hope I can contribute to the corp in some way. Moved my reply to your logged in post! Welcome!